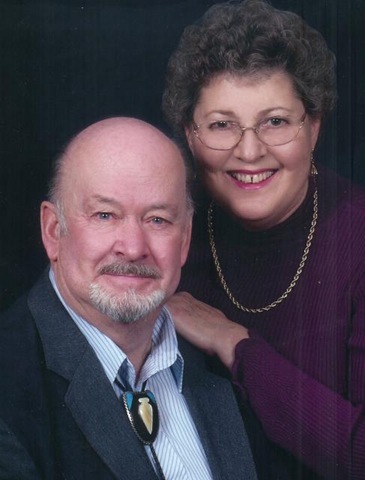 We are pleased to announce the 2013 TVC Recognition Award goes to Daryl and Yvonne Clendenin. Our Award Recipient Is A Caller With Incredible Credentials! He has been calling internationally, nationally and locally for over 44 years, most recently for a TVC club for the last 10 years. He has been involved with CALLERLAB, helping define our square dance standards -- and providing leadership to his fellow callers. His fellow callers affectionally call him “Dad” -- not because of his age but because of his wisdom and helpful nature. Our Award Recipient Is A Very Special Teacher! He has conducted Caller seminars and clinics in and out of the United States. But more importantly for us, he has taught and is currently teaching MANY of our local potential callers. offering ongoing classes in his basement and at a special college each July in Cle Elum, Washington. Our Award Recipient is Musical! Many of the songs you dance to have been recorded and produced by our recipient. He was the owner and producer of Chinook and Hoedowner Records. Always willing to share his time, his expertise, and his humor for the sake of square dancing. I am delighted to announce TVC's Recognition Award Recipient - Daryl Clendenin, Caller for the Hoedowners and his wife Yvonne.